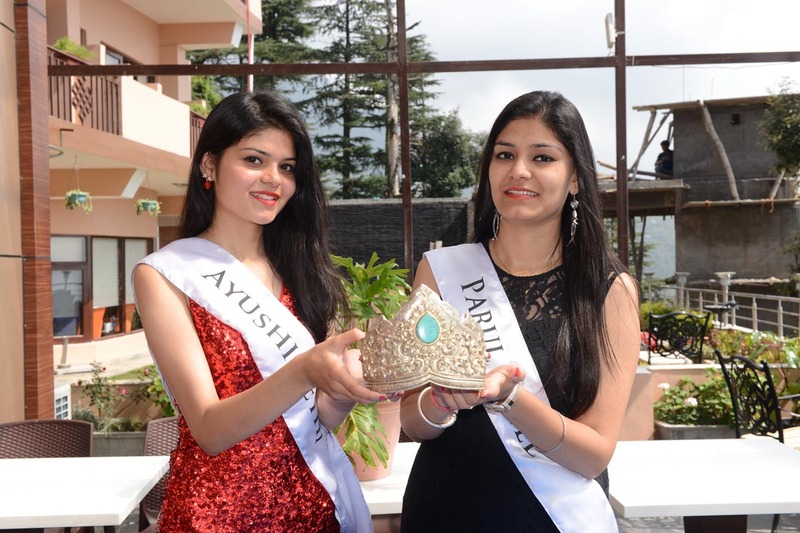 Two beautiful young women from Dharamshala will be competing in the finale of the Miss Himalaya Pageant 2016. We expected more contestants, but we are happy for these two good ones. Since the mission of the Pageant is to help empower young women, we feel it’s important that we go ahead with the Pageant as planned, to encourage and respect those who are taking this opportunity to fulfil their dreams. Seeing their enthusiasm, we feel encouraged by these two contestants. The two beautiful Himalayan girls are Ayushi Sethi, 21, and Parul Patel, 23. They both are students pursuing BBA and MBA respectively at Dharamshala Degree College. Since there are only two contestants, they both will win prizes. The winner will receive a prize of one lakh rupees (100,000), the first runner-up 50,000. We received six applications. However, three never contacted us after filling their applications, and one was unable to get here at the last minute. Four more enquired about participating too late, only a week before the Pageant. We tried to provide them the opportunity with a late fee, but they didn’t take advantage of this. We are very happy to report that the Himachal Pradesh Housing and Urban Development Authority is supporting us with a grant of one lakh rupees, which will be so helpful in making a better Pageant. We are hoping that others will come forward and encourage us with their contributions to make this event a success. Since the Pageant is aimed at being a true Himalayan pageant, we will start working on the next one right after this one is over. The Miss Himalaya Pageant is open for young girls from Ladakh to Arunachal Pradesh, including the northeastern states. Women from Bhutan, Nepal, and Tibet may also participate. We look forward to having an exciting pageant on Sunday. Website designed and maintained by Lobsang Wangyal Productions.